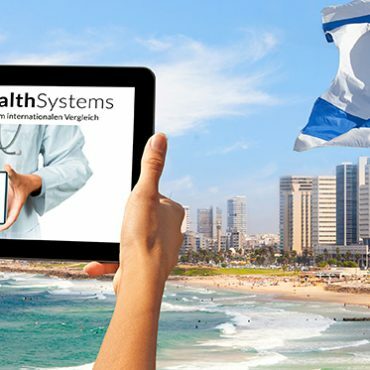 A look at Israel is like a look into the distant future, at least when examining the e-health sector. 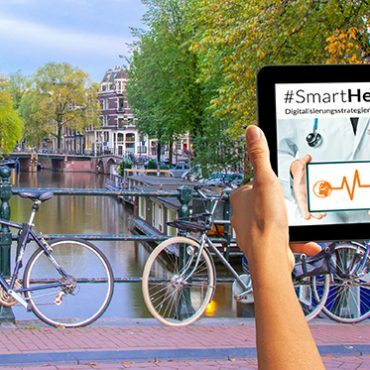 Digital solutions that in Germany might become a part of our everyday healthcare landscape in five or 10 years at the earliest are already a part of daily life there. Indeed, the Israeli healthcare system is today already nearly entirely digital. Medical records and patient data in the country have been recorded digitally for nearly two decades. Every patient in Israel can access his or her electronic health records using a smartphone, putting everything from laboratory results to the record of the most recent hospital visit at the patient’s fingertips. The fact that the transfer of innovations into standard care has already progressed so far is partly due to Israel’s strong culture of innovation. After all, this is a country often known as the start-up nation. However, the structure of the healthcare system itself also offers considerable freedom for innovation. In addition to the Ministry of Health, there are four health maintenance organizations (HMOs) in Israel, which provide health insurance and also offer a wide range of healthcare services, including their own pharmacies and hospitals. Nearly every Israeli citizen is a member of one of these four main HMOS (Clalit, Maccabi, Leumit or Meuhedet). Members pay a defined social-security contribution to the HMOs and are in turn entitled to a defined catalog of services. Financial compensation takes place under the supervision of the Ministry of Health. The ministry leaves the four HMOs a free hand with regard to managing their members and their services. In this way, the HMOs, each acting as its own small healthcare system, seek to improve their efficiency and offer the best services possible in order to attract new members. This, along with the relative shortage of physicians and nursing staff in Israel, encourages innovation. 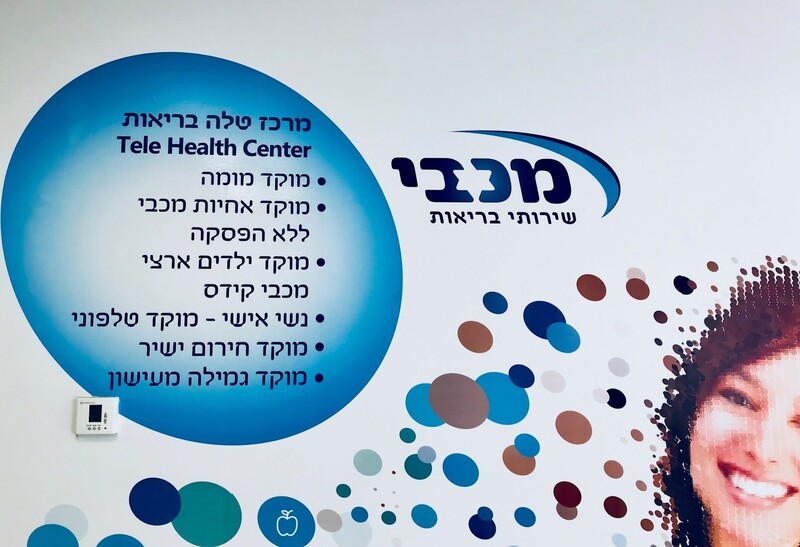 It may thus come as little surprise that the telemedicine landscape in Israel is already considerably farther advanced than in many other countries. Numerous startups are developing telemedicine solutions and are attracting large sums of investment capital. One of these is TytoCare, which offers an instrument kit that allows ordinary examinations of the throat, ears, eyes, skin and lungs to be carried out at home. The results are transmitted live to a telemedicine physician. Healthy.io follows a similar principle, seeking to spare patients from having to undergo time-consuming laboratory examinations. In this case, test strips for urine examinations are sent to a patient’s home. The results are photographed with a smartphone, and an app then matches the photo with a database in the cloud. However, diligent work on digital healthcare innovations is taking place outside the startup scene as well. The HMOs too are striving to create low-cost integrated-care solutions, particularly for chronically ill patients. 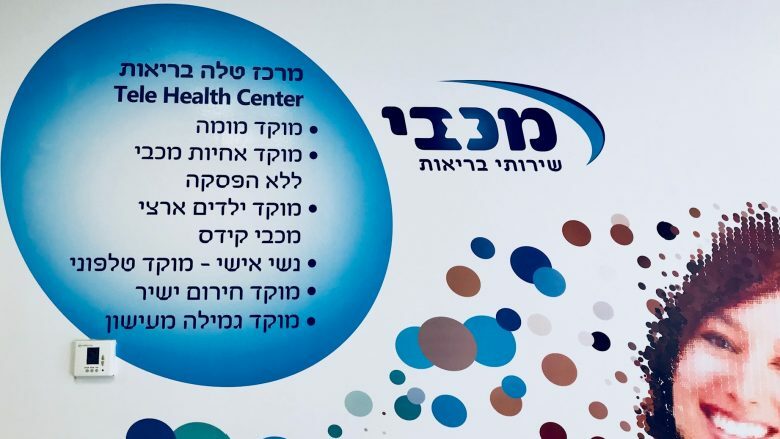 The best example of an innovative approach that can already be found in the standard-care landscape today is MOMA a multidisciplinary healthcare center founded in 2012 by Maccabi HealthCare Services, Israel’s second-largest HMO, along with the Gartner Institute. Around 25 percent of Israel’s population, or about 2 million people, are Maccabi members. MOMA offers care for patients with various complex chronic conditions, including diabetes, COPD, chronic heart failure and cancer. Similarly, the center supports patients wearing a stoma or artificial intestinal outlet, those who have chronic wounds, and those who require home care. A broad range of staffers, including nurses, physicians with various specialties, clinical pharmacists, physiotherapists, social workers and nutritionists, work together on an interdisciplinary basis at MOMA. Through MOMA, they are connected with one another in a network that spans the entire country. Thus, even someone with severe heart disease from rural Kiryat Shmona in Israel’s far north can receive care from specialists in Tel Aviv, for example. The goal of care through MOMA is not to replace treatment by the patient’s local doctor. Rather, MOMA sees itself as a complementary service designed to support and educate patients in handling their chronic conditions. This is intended to significantly increase the degree to which patients adhere to their prescribed courses of therapy, thus increasing therapeutic success rates. To this end, the MOMA center also works closely with local general practitioners, along with other healthcare service providers and treatment facilities. MOMA’s work is also intended to reduce the number of emergency-room visits. The center offers telemedicine services designed particularly for this purpose. A key goal here is to improve care for patients in rural areas, but the services also give patients from large cities the opportunity to avoid visiting the doctor’s office every time they have a concern. Currently, the center serves about 6,000 patients with a very broad range of conditions. Around 20,000 patients in total have benefited from MOMA care since the facility’s creation. MOMA offers an around-the-clock hotline that enables its patients to reach nurses specializing in the care of chronic conditions, with either telephone or video service available. Using a camera, the nurse can examine a patient’s wound, or assist the patient in measuring his or her blood pressure or injecting insulin, for example. The MOMA nurses thus serve as coordinators for the patient cases. They can give the patient direct advice, forward him or her to a specialist, set up appointments, or order additional examinations. One of MOMA’s most recent developments is the “TelePedriatics” service, which specializes in telecommunications between parents with children and pediatric nurses or pediatricians. In addition, MOMA uses internet-of-things (IoT) hardware, such as home blood-sugar measurement kits that are connected to an app, and which transmit measured data directly to the MOMA center. Similarly, special pill boxes use sensors to recognize whether patients have taken their medication. In addition to the management of chronic conditions, MOMA has also focused on the development of preventive tools. For example, it offers digital and tele-assisted smoking-cession programs. All data stored by the center regarding telemedicine services provided to patients, as well as data exchanged within the MOMA network, can also be transmitted to treating physicians, so that they always have up-to-date information about their patients’ health status. Technically, the MOMA service is based on a single system into which all relevant data – such as laboratory results, x-rays, drug data, clinic reports or billing information – is automatically entered. The use of IT standards and uniform terminologies allows for a high degree of interoperability within this system, making possible the smooth exchange of data between entities such as laboratories, clinics and the MOMA call center. Using a patient portal connected to the data system, both treating physicians and the patients themselves have access to personal health records, web- or app-based tools for disease management, and an appointment-setting function. 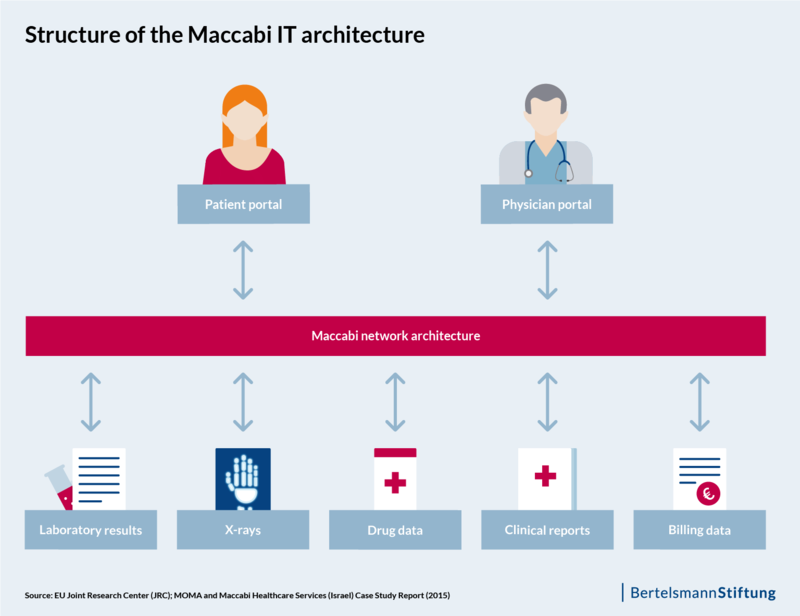 Data also plays a major role internally at MOMA: With access to the pool of more than 2 million Maccabi members, the HMO can conduct big-data analyses enabling it to improve its services. For example, MOMA nurses can use an algorithm to help them as they coordinate cases. To do so, they pose a list of specific questions to the patients. The algorithm then analyzes the resulting answers and provides the nurses with decision support regarding further treatment options. Specialist physicians then approve this decision. Patients with MOMA care do not spend as much time in the hospital [PDF] as patients without MOMA care. MOMA patients are admitted to the hospital significantly less often. Patients show considerable improvement with regard to adhering to prescribed therapies, particularly in the case of COPD and chronic heart failure. MOMA patients generally pay more attention to healthy diets and physical activity and are more likely to take their medications as recommended. According to Maccabi, overall healthcare costs [PDF] have declined thanks to the use of MOMA. The company reports that expenditures for MOMA patients were 4 percent lower [PDF] than for comparable Maccabi members without access to these services, even by the first year after the center’s creation. Moreover, physicians receive the same remuneration for a video consultation as for a normal in-office consultation. The way Maccabi sees it, a visit to the doctor is a visit to the doctor.